1. 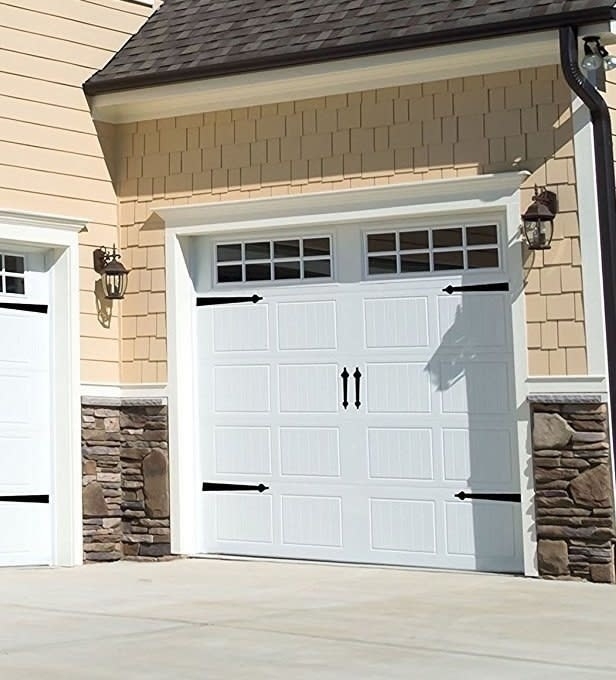 Give your garage doors a dose of instant character and detail with a set of carriage-style magnets that take only seconds to attach and arrange so they look just right. Get them on Amazon for $12.11. 2. Freshen up your living room in a single step: stuff those throw pillows you're not in love with anymore into a new set of covers. 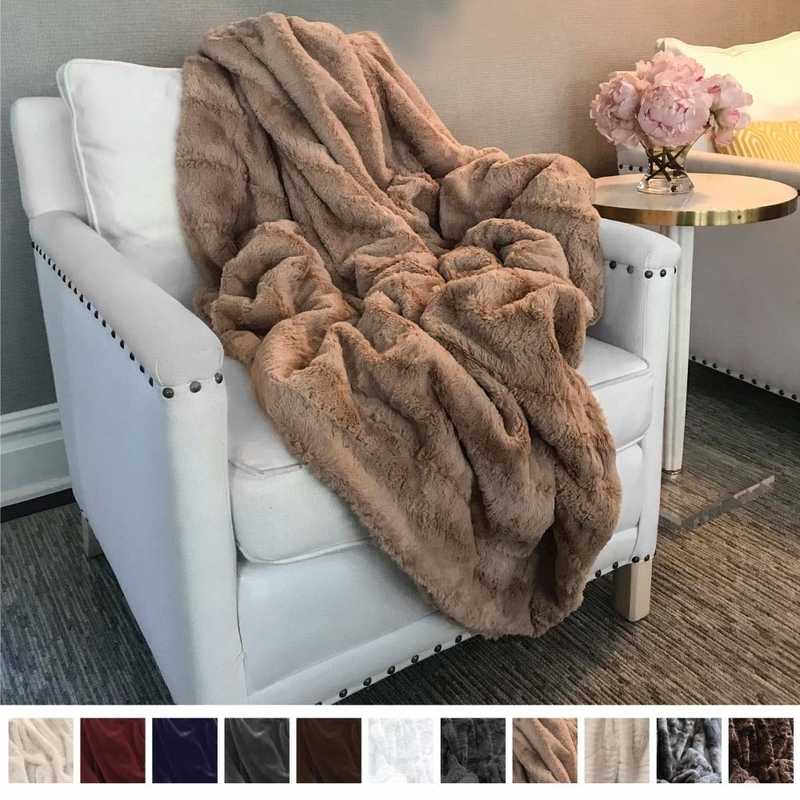 Get this set of four 18"x18" covers (which you can def use on 20"x20" pillows, too) on Amazon for $16.99 (many colors / print varieties available). 3. 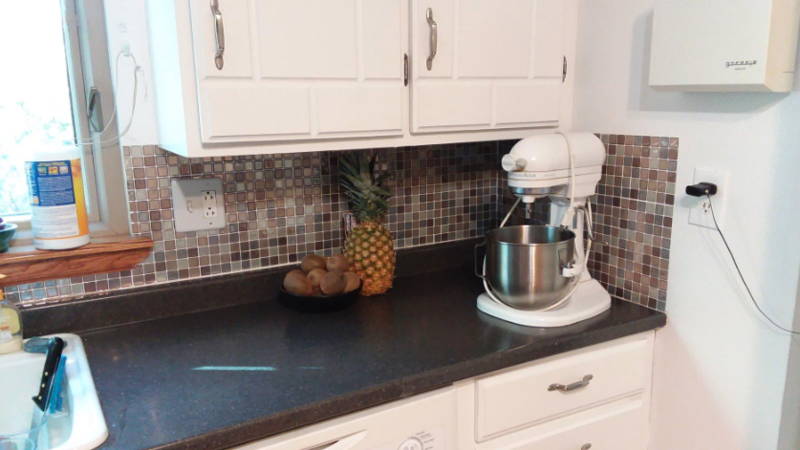 Spend a two hours one afternoon making over your kitchen with a peel-and-stick tile backsplash that'll be easy to wipe clean when your baking gets a little messy. They're basically a sheet of raised plastic tiles that look so similar to glass you'd pretty much have to touch them to know. 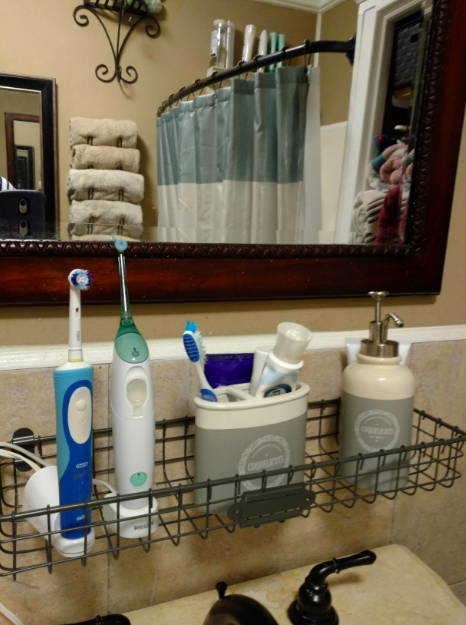 You can also totally use them in the bathroom, too! One reviewer decorated an accent strip in the shower and framed their mirror. Get a pack of six 10"x10" sheets for $14.99 (+$1.99 shipping; four colors) and an X-Acto knife for $4.40 on Amazon. 4. 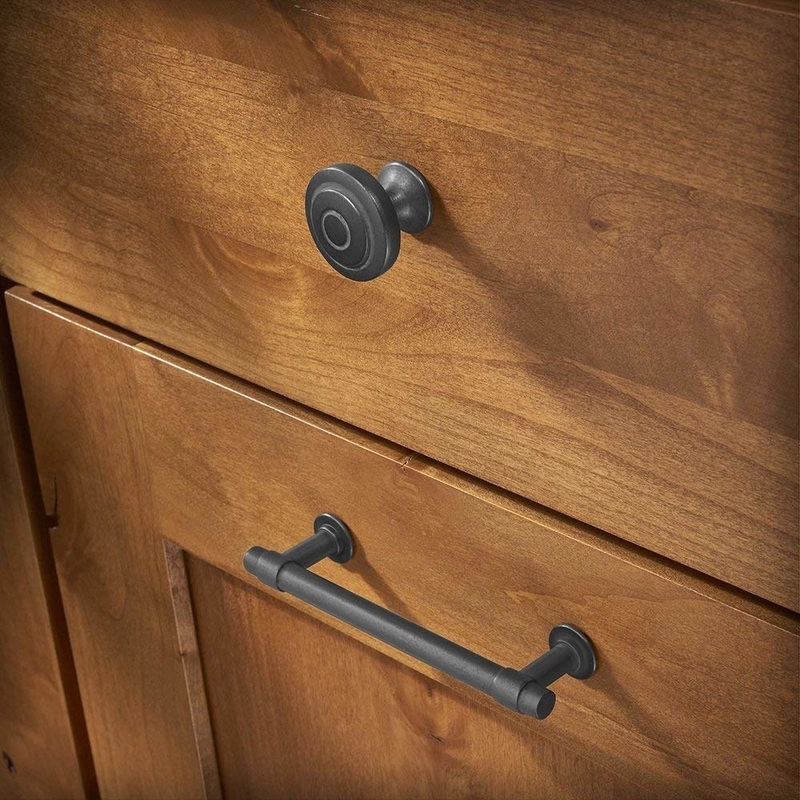 If you don't love the ones you have right now, swap out your cabinet and drawer pulls. 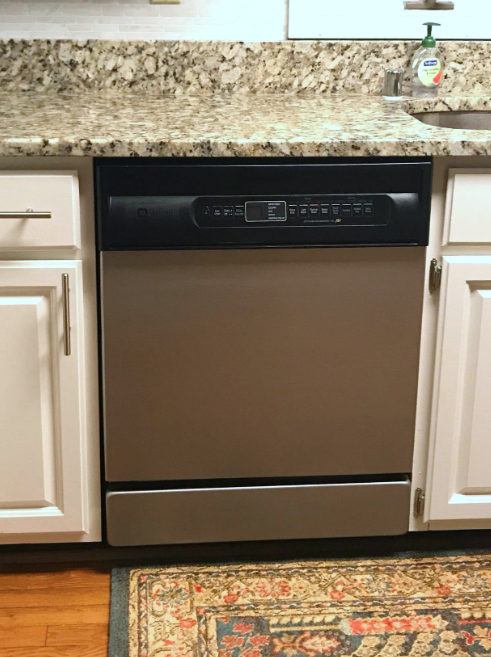 If you're a renter (and find handles and pulls that use the same screw holes as the original ones), you can definitely change them back before you move. Get the set of 10 bar-shaped pulls for $19.99 or the set of 10 bin cup pulls for $22.99, both on Amazon. 5. 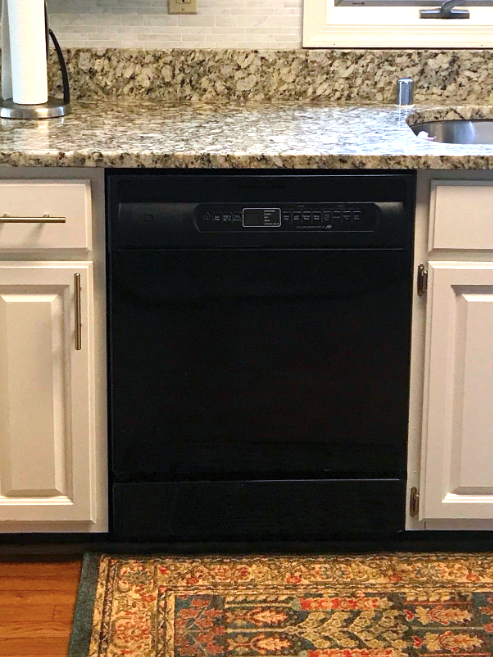 Transform your outdated (but still perfectly functional) appliances in one weekend with a three-step stainless steel paint kit. The kit contains four different coats, which you let dry for at least an hour each — though some reviewers let each dry overnight. Get it on Amazon for $24.95. 6. 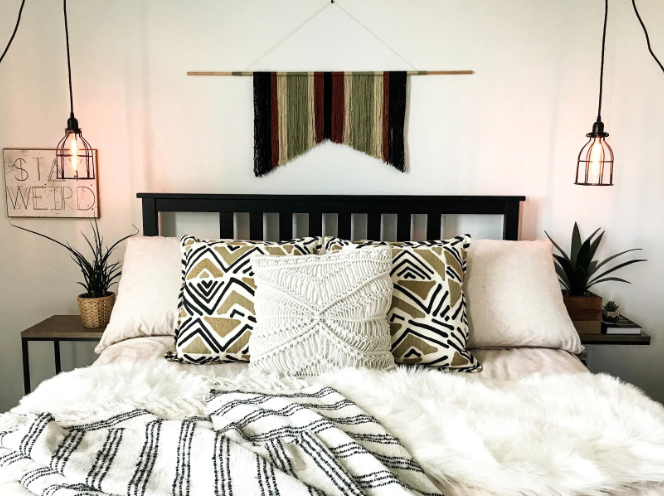 Build a simple wood frame and stretch a shower curtain or table cloth you love over it for a statement-size piece of wall art. 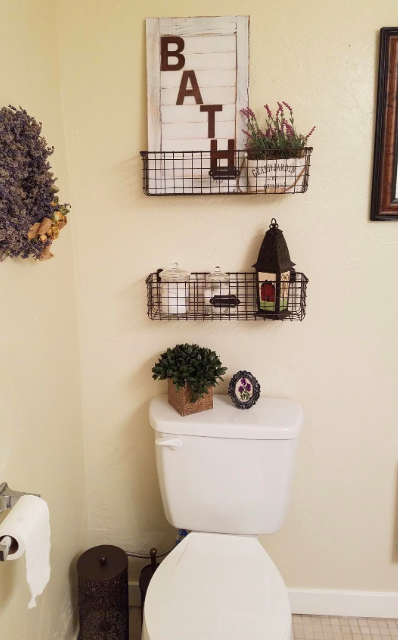 Read the full tutorial from House of Jade Interiors. If you happen to have an oversized canvas lying around, you can also use one of those — Design Improvised has a tutorial for that. And while that exact shower curtain's $130 from Thomas Paul, you can get a similar one on Amazon for $18.90. 7. 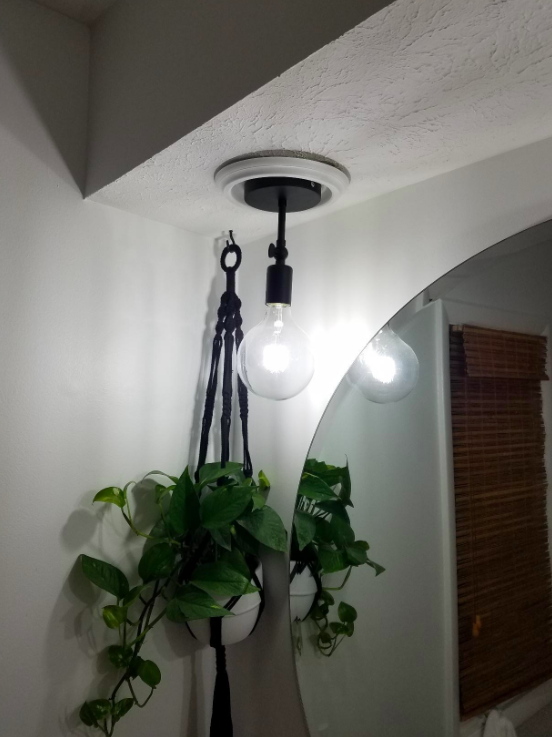 Hang those pendant lights you've always dreamed of, no electrician required: just pick up a couple conversion kits for your builder-grade can lights. Get the kits on Amazon for $12.81 each. 8. 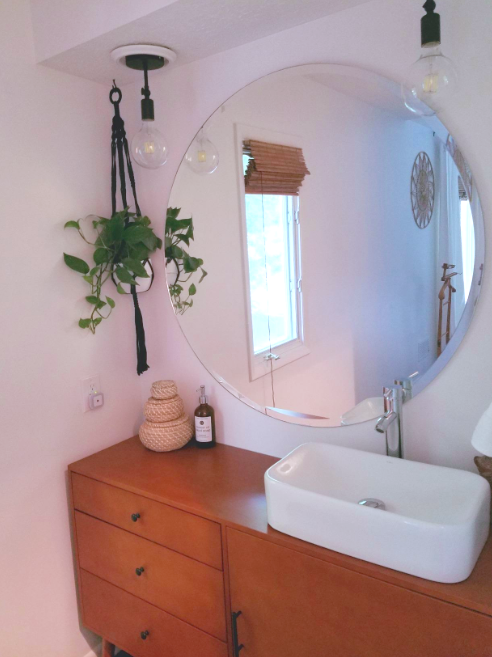 Or opt for a pendant lamp, which couldn't be simpler — all you have to do is hang it up and plug it into any regular outlet for that rustic bedside glow. 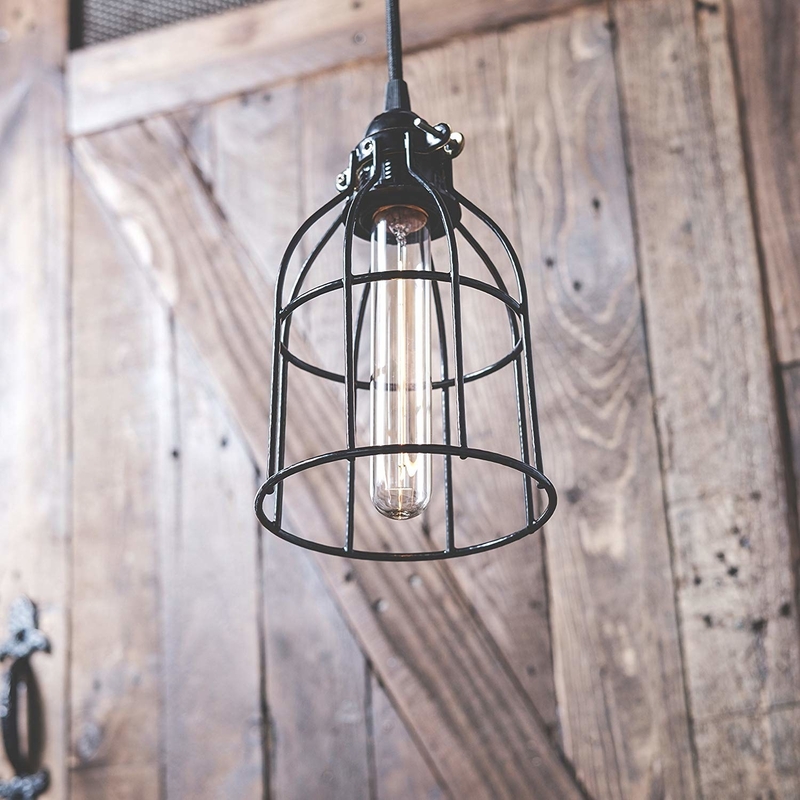 Get this metal-cage lamp on Amazon for $25.99 — it even comes with that pretty Edison bulb! 9. Erase old water stains from your antique furniture so it looks nearly brand-new again with the help of a miracle wood finish restorer. 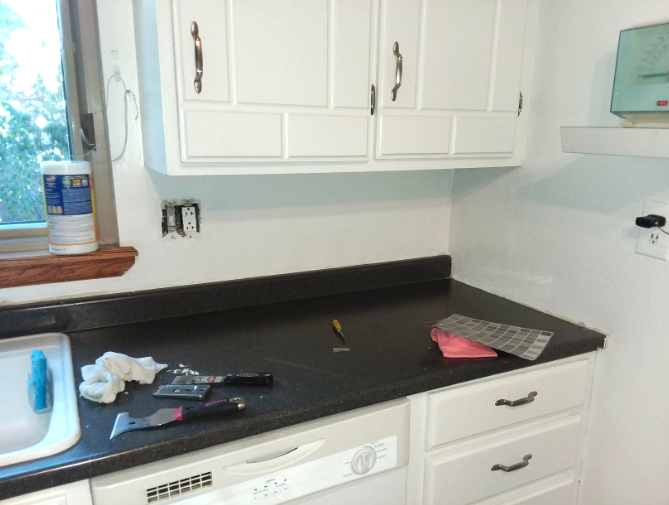 While restoring a finish isn't quite the same as completely refinishing a piece, it take much less time and can still make furniture (and floors, front doors, and kitchen cabinets) look magically new again. Get it on Amazon for $8.79 (nine wood finish colors available); many reviewers follow up with the same brand's wood polish and conditioner, which you can get for $8.48 on Amazon. 10. Dress up a blank wall in your kitchen (and tbh any room) with a wood-framed tea towel you can switch out with the seasons — or just your mood. From the geniuses at Apartment Therapy. Get a similar wood wall hanger from Amazon for $11.99. 11. Instantly double up your shoe storage space with a set of organizers that neatly stack the left shoe on top of the right, without making any pair too difficult to find. Which means you might even remember to wear that favorite pair you just rediscovered in the back corner of your closet! Get a pack of six on Amazon for $16.98. 12. 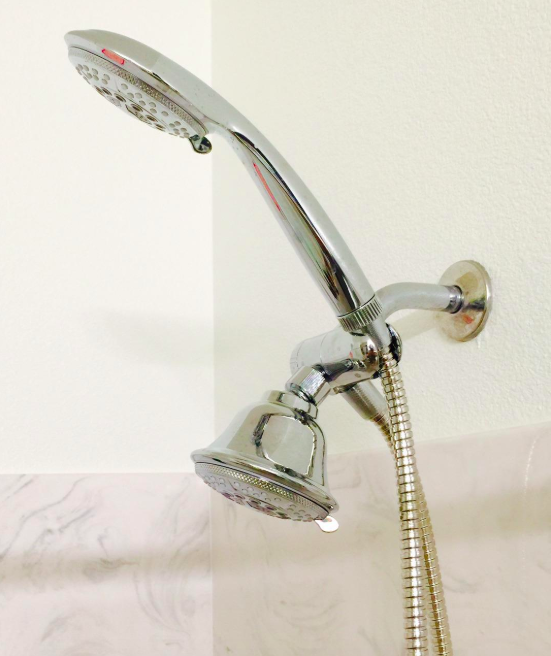 Ditch your ancient shower head for a luxe dual-spray version with a handheld sprayer — it'll make cleaning everything (your dog, the tub, and yourself) so much easier, and installation couldn't be simpler. 13. 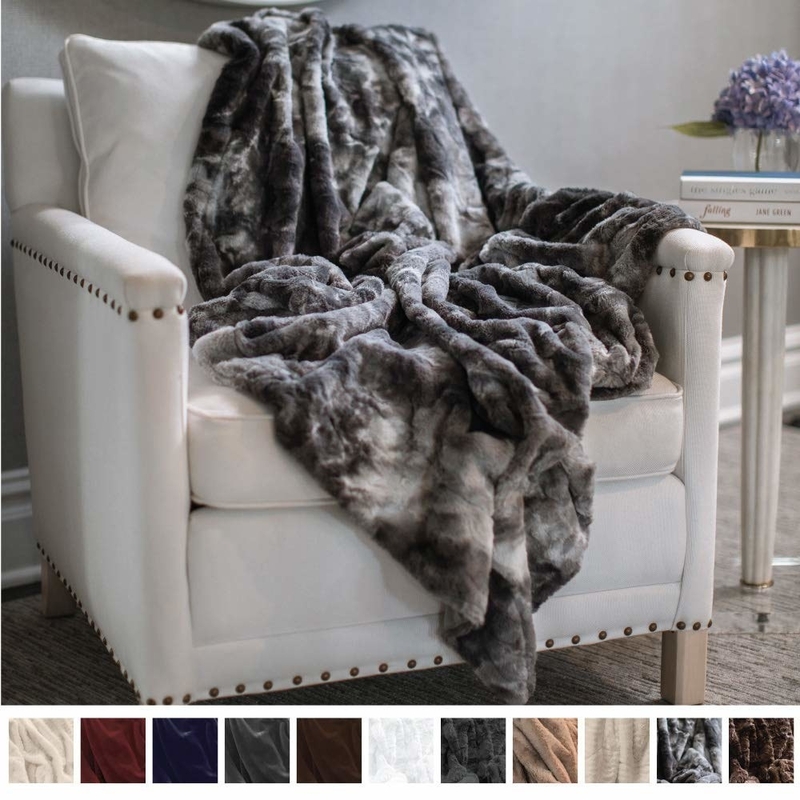 Toss an ultra soft faux-fur throw over basically any piece of furniture to make it an inviting spot to curl up and read. Get one on Amazon for $24.99+ (12 colors). 14. Exchange your yellowing, cracked, or otherwise blah switch- and outlet-plates for new vintage-style covers to give every room a dramatically better look with almost zero effort required. This is a change that takes only a few minutes: unscrew the old, and screw on the new! Get these on Amazon: the light switches for $3.96 each (four colors) and the outlet covers for $4.84 each (four colors). 15. 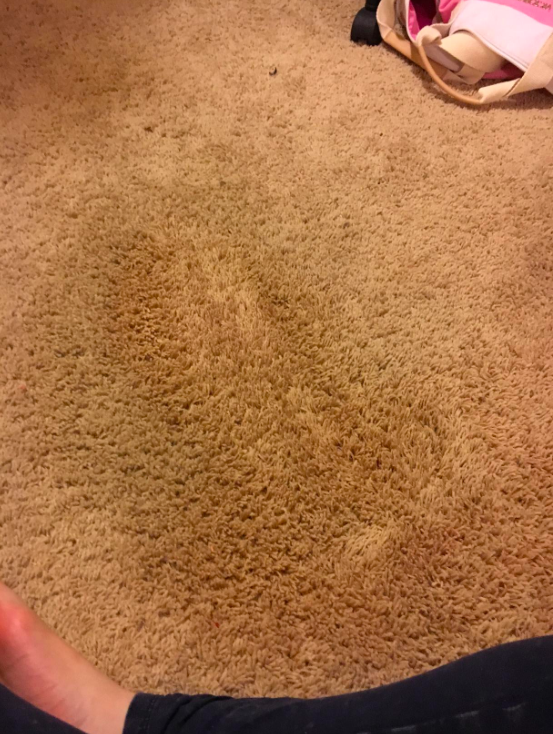 Banish all the stubborn carpet and upholstery stains you've left for too long with a spray cleaner basically guaranteed to make your jaw drop the moment you see the "after." Get it on Amazon for $12.19. 16. 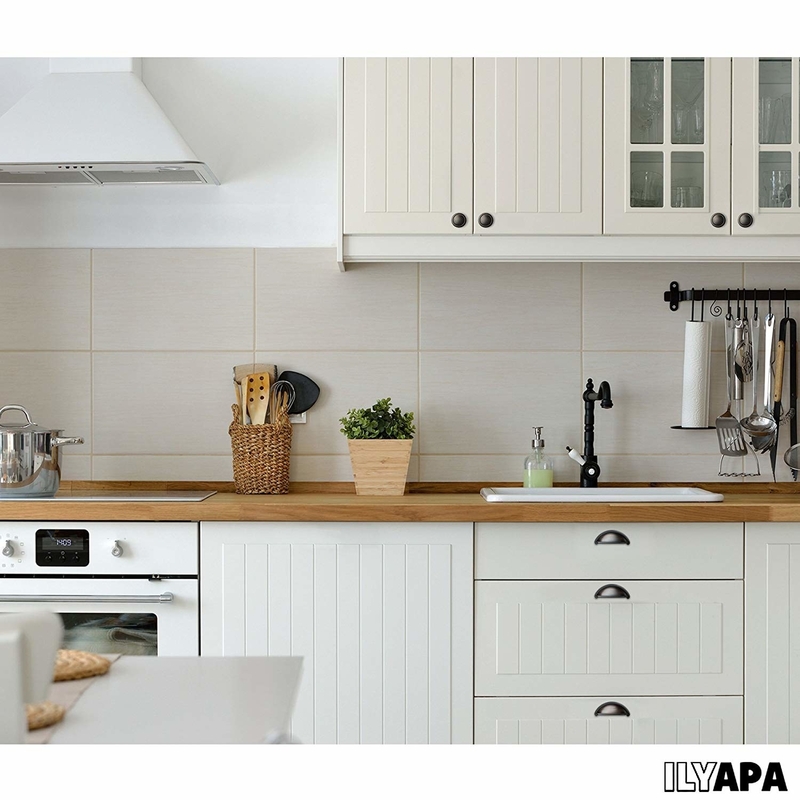 Hide eyesores like breaker boxes by screwing hinges to one side of a canvas or large poster frame, so you don't have to look at it all the time, but can still actually access it whenever you need. Get the how-to from Bliss Bloom Blog, who uses a canvas, or Charleston Crafted, who uses a poster frame. 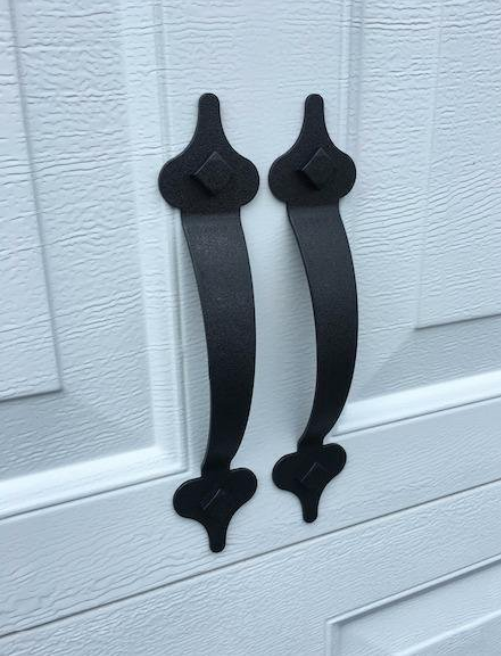 Get the supplies on Amazon: a pack of two of similar narrow hinges for $3.84, and a pack of two large, light-weight frames for $27.99 (which works out to about $14 per frame). 17. Replace the blah-looking house number next to your front door with a modern option for a quick curb-appeal boost. Go Home Numbers on Etsy offers multiple font options an heights, or get any one of the pictured six-inch "modern" numbers for $8 each. 18. Breathe new life into a scratched laminate-wood table in two steps: covering some of it with marble contact paper, and painting the rest to coordinate. Promising review: "I used this marble contact paper as part of a makeover on two Ikea dressers. 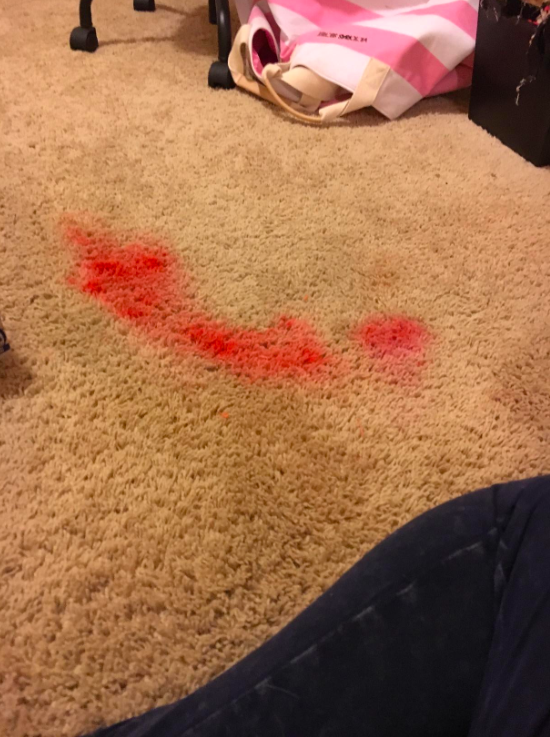 I was hopeful yet skeptical, so I was thrilled at the quality and the results! It looks amazingly real! Everyone who sees it has thought that it was real - I only know this because I proudly announce, "DUDEEEEEEE THIS IS CONTACT PAPER!" to anyone that sees them, whether they care to know or not. 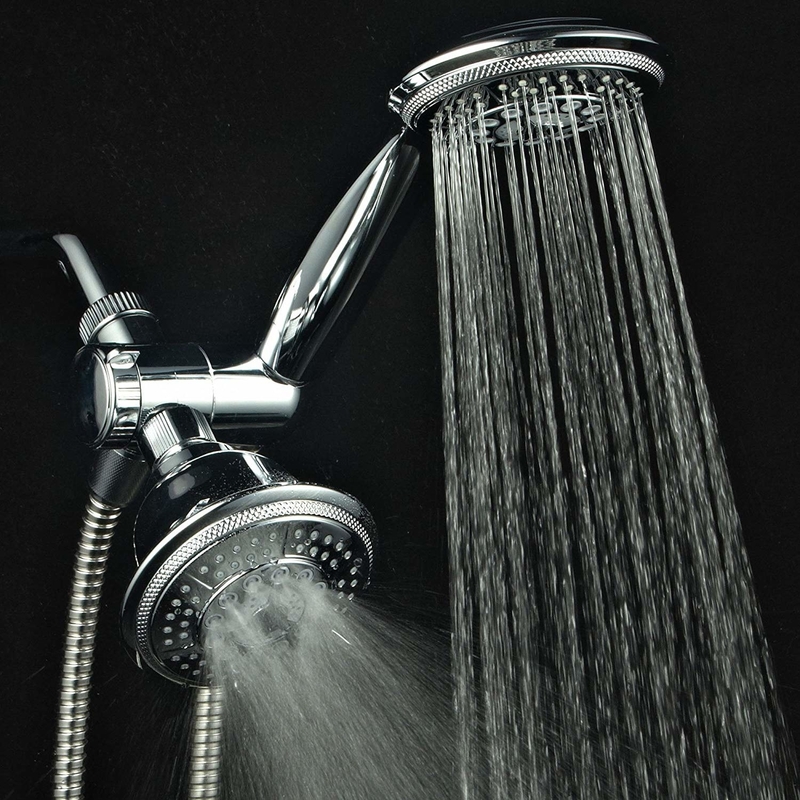 For the price, it's a seriously awesome product for small projects." —Blair T.
Get a roll on Amazon for $9.49. 19. Magically conjure new storage and display space wherever you need it most with a basket shelf or two. Get one on Amazon for $16.36. 20. 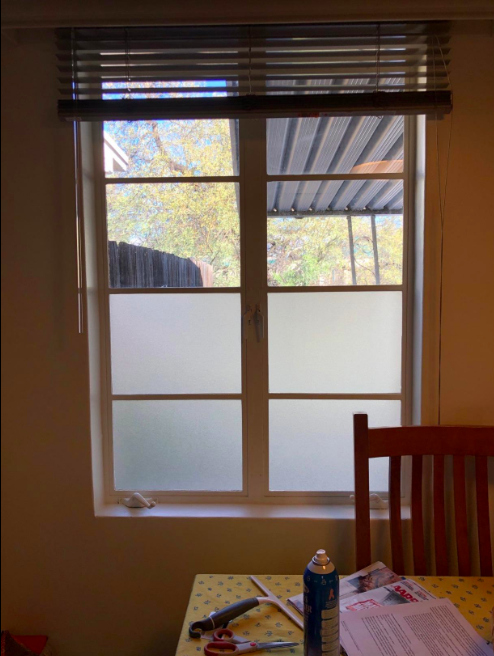 Apply some rainbow or frosted film to the windows where you need just a little bit more privacy, but don't want to block out the light. 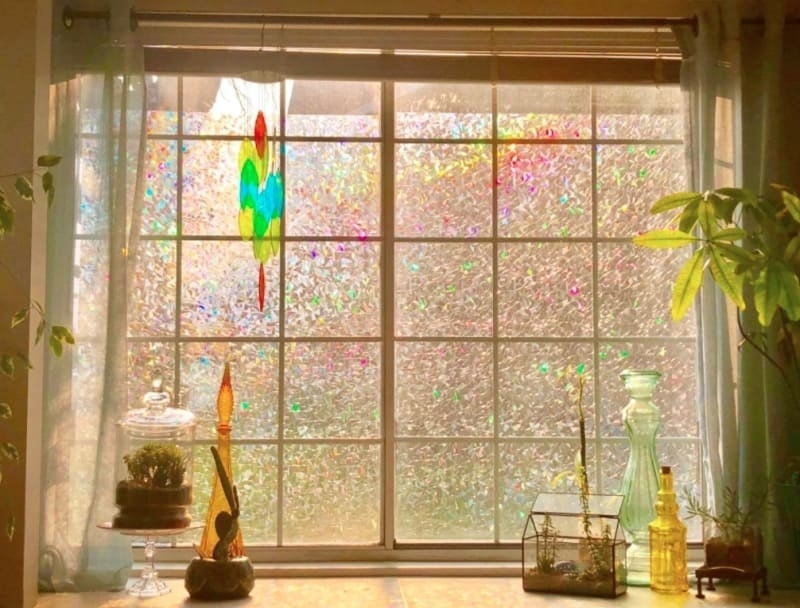 Get them both on Amazon: the rainbow film's $16.59 for about 12 square feet, and the frosted film's $6.98 for about 10 square feet. 21. Create a beautiful gallery wall with very little effort thanks to a ready-to-hang frame set — it even comes with three different full-size templates to help you put the nails in all the right places. Get it on Amazon for $20.64 (also available with black frames for $29.49). In the home improvement mood? Check out these great posts!